Building a business online can be achieved in several ways. one of such ways happens to be e commerce. There are several platforms one can leverage to build an E-commerce business such as Amazon, Shopify, Ebay. As i have only studied and worked with Ebay, this post will deal mostly on Ebay. EBay is not the only platform out there you can sell on. However, Ebay buyers seem to be loyal to the company and most Ebay buyers will buy from Ebay over and over again and very few bother checking out the competition. Alexa at the time of publishing this post ranks eBay as the 7th most visited site in the Unites States!!! 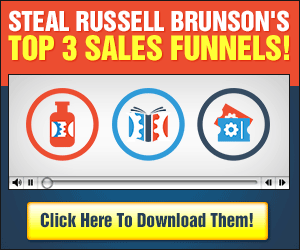 There are millions of people out there every single day looking to purchase products. The difference between this form of business and affiliate or network marketing/MLM is that unlike the later, you are not looking for buyers, you are not hunting people down to sell them your lotion and potions. With eBay, you simply research and find out what the market wants, you source the products and you put it in front of people already looking for those products! This is not a post to teach you how to sell on Ebay, that would be a course on its own, however i do hope this opens your eyes to other alternatives and options out there that you can exploit. If you’re interested in working with Ebay you can check out this online course. It takes you by hand and walks you through the entire process from deciding what to sell, where to find it, list it and what to do after it sells. I hope you enjoyed this content…feel free to share,like and comment.